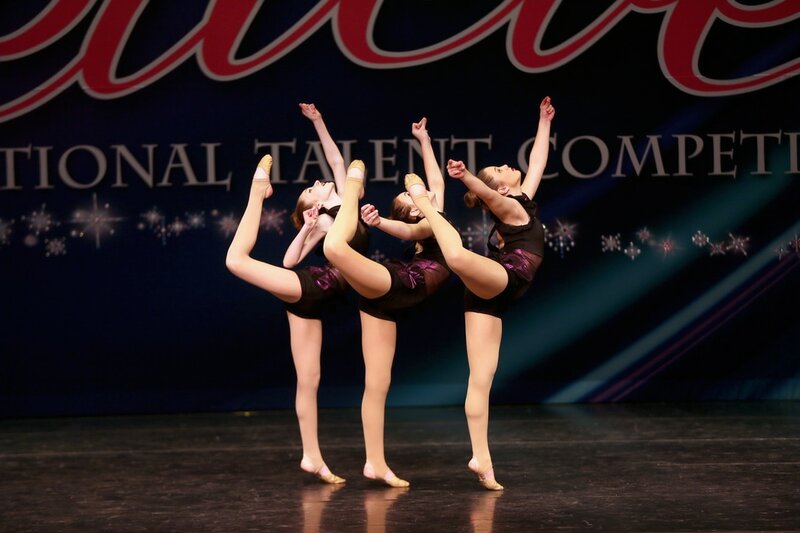 Broadway Bound Dance Center offers classes for all ages and levels in multiple styles. 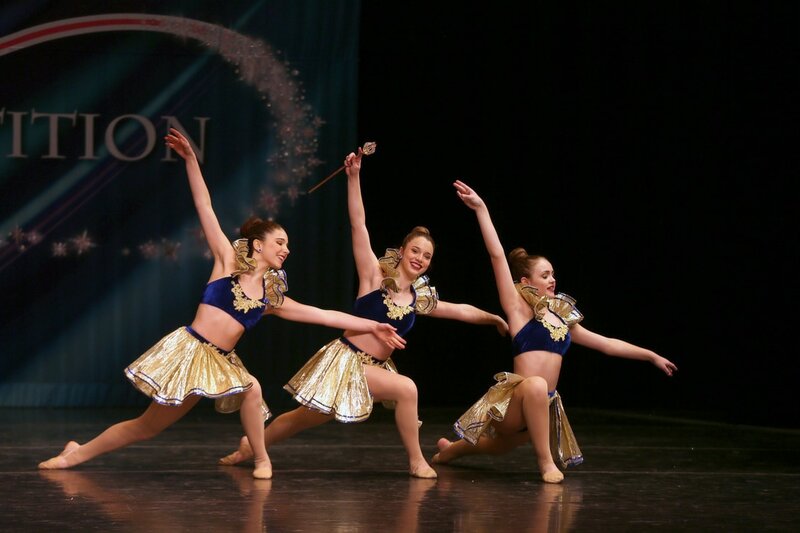 Whether you or your child is new to the art of dance or you are an advanced technician looking to join a competitive team, BBDC has a place for you! See below for details on each exciting class type! Acrobatics is a form of dance which combines gymnastics, flexibility, and conditioning. Students will learn tumbling skills using the correct technique starting with forward rolls, back-bends, cartwheels, round offs, front/back walkovers and work up to learning aerials, back handsprings, and back tucks. Students will also learn flexibility tricks such as chin stands, scorpions, bow and arrows, elbow stands, and many stretches. This is a great class to help enhance flexibility, strength, and tumbling! Classical ballet classes concentrate on terminology and the placement of the body by working at the barre and in the center. The Intermediate and Advanced levels are highly recommended to take more than one class per week. Ages 3 & 4, boys and girls. This class emphasizes coordination skills through movement with music. It introduces the toddler to basic ballet and stretch movements through dance combinations to childrens' songs. Toddlers will have an in-house performance at the dance studio in June. This class is a continuation of Toddler Dance I. The students will further their study in ballet. They will perform in the studio-wide recital. This class is Creative Art! This type of dance style has classical elements of technique (ballet, modern, jazz) with a twist. It incorporates angular body lines, flexed feet and strength moves such as acrobatics. You can see a lot of this style on the popular television show "So You Think You Can Dance." Hip Hop is a street style dance that features isolations, rhythm, funk, charisma, and strength. Hip Hop encompasses a range of styles and is typically performed to Hip Hop music. Ages 5 and up. BBDC's jazz is up to date New York style jazz, working on dance tricks, extensions, and new moves to the latest music. It's energetic and fun! Street style dancing with a jazz flair. This style of dance is seen on MTV and is very popular today. Our instructors add their own style along with high energy music. Great for all ages! Contemporary dance incorporates jazz and ballet. This form of dance lets the student express their emotions while keeping the classical training. Pre-requisite: Inter. Ballet class. The study of Broadway dance and dance styles. The class focuses on performance techniques, personality, and story-telling through dance. Students will learn original choreography from selected musicals, such as “Hair Spray”, “Fosse”, “Chicago”, and many more. In addition, students will learn how to properly prepare for an audition for a musical. Ages 5-7. Combination ballet and tap classes teach the student coordination skills, rhythm, basic terminology, and the proper use of muscle development. This will prepare the student for the next level of dance. For Inter./Adv. ballet students-included in regular ballet class. Instructor's recommendation only. Combines street dance with funk and jazz, similar to what you would see in televised dance performances or music videos. Students will learn the importance of isolations and dynamics to execute pop-and-lock and funk movements. Students will also learn choreography from famous music videos by artists including Janet Jackson, Beyonce, and many more. Ages 10 and up. This is a funk style tap which incorporates many styles from legendary Hoofers such as Gregory Hines, Sammy Davis Jr., and Savion Glover. It teaches free flowing tap with timing and rhythm. Its great for the intermediate tapper. Ages 5 and up. Rhythm, timing, and tap terminology are taught in every level, beginner through advanced. Dance combinations are put to music added with style the BBDC way! This one hour class dance/fitness class will have your children up and moving! Learning basic steps to various latin rhythms. NO dance background is required. Just one hour of fun and fitness!